Longborough School is committed to the development of arts, with music being one of them. Every week, a singing assembly is conducted, where a variety of Hymns and popular songs are practised. Children thoroughly enjoy their musical sessions and positive comments are received on a regular basis from parents and the local community, especially in respect of how well the children sing. Two musical productions are also undertaken every year. The first is performed at Christmas in St. James' Church, Longborough, and the other is performed in the summer term at a local village hall. 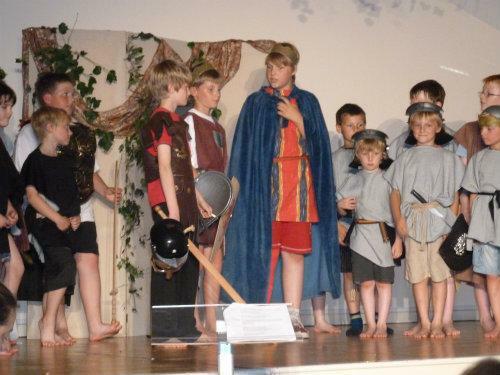 Due to the school’s size, all children take part in both productions. To date, these have included Stable Story, Off to Bethlehem, The Pied Piper, The Sound of Music, Cinderella and Rockerfella, Hoodwinked (Robin Hood), The Peace Child and Troy Story. To ensure all children are given the opportunity to play musical instruments on a solo basis and within a group setting, practical workshops are held throughout the year. Currently, children in Key stage 2 are receiving percussion tuition, from a qualified percussion teacher. This tuition followed a period of recorder tuition. Furthermore, children have also had the opportuntiy to take part in a workshop named Groove On, which involved composition and playing African drums, glockenspiels, xylophones and a varierty of wind and brass instruments. To celebrate childrens' achievement, concerts are performed at the end of the tuition period, to parents and interested local community. 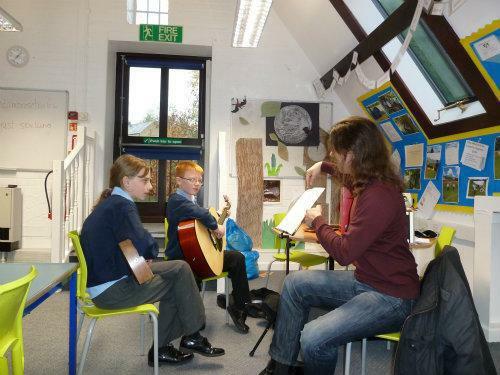 Individual or small group guitar, clarinet, flute or recorder tuition is offered by specialist peripatetic teachers. Further details may be obtained at school.